Spacious, detached holiday home with a sloping, fenced garden. Your holiday home is a short distance from the road leading to the beach (less than 1 km). While you go for a walk, take note of the location of the superb sandy beach \"Les Sables-d'Or-les-Pins\" in the beautiful bay set against the higher countryside inland. You are on the edge of Plurien, between the famous places, St. Brieuc (37 km) and Dinard (35 km). The region is known as the \"Côte d'Emeraude\", a beautiful, rugged coastline with splendid sandy beaches. Sportier holidaymakers are advised to bring a bike. Sailing school, bike hire and restaurants in Les Sables-d'Or. Bakery, supermarket and tennis court in Plurien and Les Sables-d'Or (2 km). 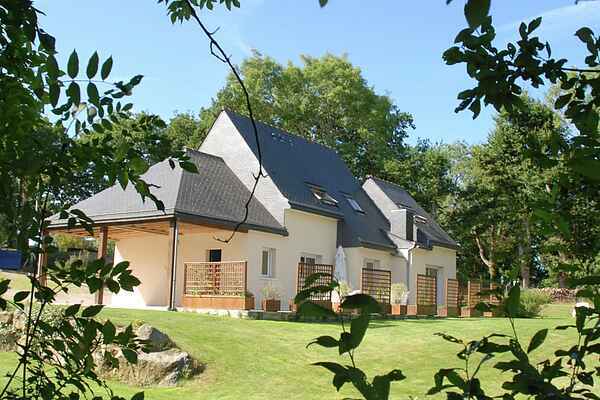 You have magnificent views from the coast road to the renowned Cap-Fréhel (5 km). Then drive straight to Fort La Latte, 4 km further on a strategic rocky outcrop in the sea. Well-known directors have used the fort as a backdrop for countless films. In any case, don't forget your camera for beautiful holiday photos.